Alcohol consumption and alcohol-related harm reflect strong gender dimensions in most cultures, in all parts of the world. Generally, men drink more often and in larger quantities than women, and women are more often the victims of excessive drinking. During the past decades gender programs have become an integral part of many development strategies implemented by NGOs and governments. However, those programmes have largely ignored the gender dimensions of alcohol consumption. To help fill this void, FORUT offers the new manual as a tool for NGOs, government agencies, and others interested in promoting gender equality, public health and welfare by addressing men’s drinking habits. 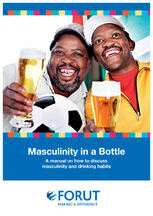 “Masculinity in a Bottle” contains methods to invite men to discuss the link between drunken and anti-social behaviour and gender-based violence. Each of the six sessions/chapters is concluded by a discussion on how to change such behaviours. Every chapter also has a brief theoretical introduction as a guide for those who shall prepare and lead discussions. The manual can be viewed here and downloaded here (in a low resolution pdf version). Alcohol – a magic potion? Each of these chapters contains proposals for how the respective issues can be dealt with, including short stories to discuss and worksheets for group work. There is also a “facilitators input” for each topic as a help for those who shall prepare and lead the sessions. Typically, gender equality programs have been conducted by women, with women, and for women. Although many of these programs show encouraging results, a singular focus on women in creating a better gender balance has apparent limitations. That gender myopia has ignored the participation of men, and, too often, left men free from responsibility, it is said in the introduction to the FORUT manual. It further says that a different approach has begun to evolve globally, promoted mainly by male activists in developing countries. That new approach increasingly challenges and involves men in changing harmful practices related to gender-based violence, HIV and harmful alcohol consumption. 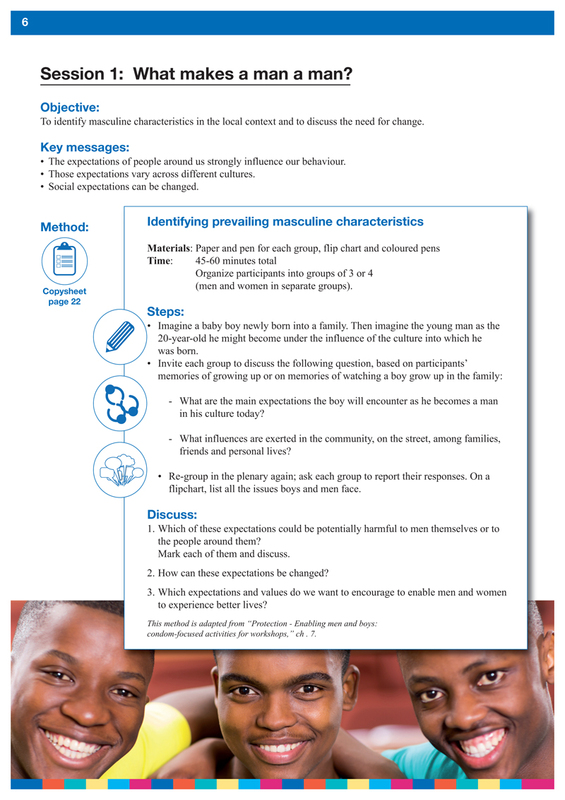 Men become partners and activists in altering harmful masculine practices. Such initiatives don’t conflict with the women’s movement and current gender programs, but instead complement existing efforts.